Ravenloft was originally published by TSR in 1983. It was released as a stand alone booklet for Advanced Dungeons and Dragons. Written by Tracy and Laura Hickman, it was released as a stand alone booklet for Advanced Dungeons and Dragons. It and a success back then. The result was that it got remade and readapted to different forms. There’s a campaign setting of the same name, lots of small adventure modules. In 2006 WotC released “Expedition to Castle Ravenloft” which is a small campaign with the castle and some added material from the setting for 3.5 edition. There is also the board game released in 2010, “Castle Ravenloft”. 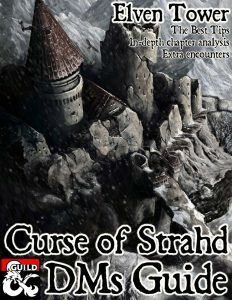 And the reason I’m writing this and you’re reading this, is 2016 Curse of Strahd, an adaptation to the original module released by WotC for 5th edition. The important thing about Curse of Strahd is that we have to understand that we’re practically playing a different game, it’s not the hack and slash game you play every Friday. It’s not a roleplaying heavy game with lots of politics and city factions and what not. It’s a different thing, it’s a horror game. Or it should be, but more on that later. One of the most important and almost occult details is hidden in page 2, in the credits section, right where it says Creative Consultants. We see the familiar names of Tracy and Laura Hickman. Bravo ! to WotC. Time after time we see in movies, book, series and RPG games that a new adaptation is launched. The new product pretends to be better than the original or they give it enough spin while retaining the original’s most important qualities but the result is not what everybody expects. It usually happens when the original creators or directors are not included in the new products. But this is the art business. And art depends on artists, be it writers, creators, directors or graphic artists. The fact that they consulted Tracy and Laura Hickman for the making of this book can be seen in the modules general vibe and assumptions. I’ve had awesome experiences running CoS in 5th edition. Also the editing and layout of the book is far superior to previous published adventures. Compared to previous modules like OoTA or PotA the book is a better resource in helping DMs do their job correctly in setting the scene and finding information when needed. 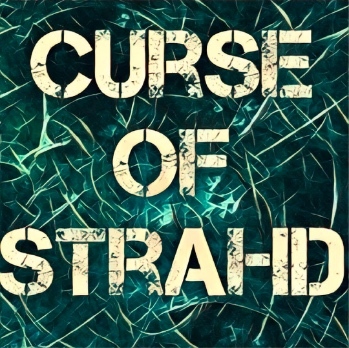 Something that is not said often is that Curse of Strahd is not for everyone. It sadly is not. The game peaks when the elements that make it good are actually used in the game. Factors like fear, creepiness, insurmountable odds and horror are the staples of the Ravenloft setting. If you play with your friends, my personal recommendation is that there has to be a session zero where this information is laid down. Fear and horror must be an important part of the game. Maybe your players (and unavoidably the adventurers) will feel this real fear of the vampire Strahd. Or maybe they won’t, as it is a fictional game, but they will be experienced enough role-players and they will role play their PC’s fear. I’ve seen it happen, nothing sours a game like this as bad as telling a lewd joke to Strahd. Or making inappropriate remarks directly to Strahd only to make everyone in the table laugh. If this happens, and there is no feeling of dread. The main element of this module is lost. I’ve seen some groups abandoning the game before level 5 because they didn’t find it appealing. It was just not their game. But I believe anyone can play it and enjoy it if it is talked through with the players in advance. There has to be a general consensus of the type of experience that is wanted and how to achieve it. Don’t take my words as if to say humor is not a thing, the book suggests humorous breaks from time to time are good (page 7). But there are moments of dread that should be respected for the integrity of the table’s experience. Curse of Strahd is more sandbox-y than other publications. After exiting the Village of Barovia, the players can go anywhere if they want to, and quite fast, since the Valley of Barovia is quite small. However, if PC’s decide to visit certain areas early on they will get killed in a matter of rounds. That’s something to love about the setting, it’s not min-maxed for the commodity of players, the world has its own way and it won’t adapt to visitors. About levels, the adventure per se starts at level 3. Using one of the possible adventure hooks (page 18) the PCs arrive to Barovia and can start investigating and role playing with the different NPCs. If the adventure begins at level 1, like most, there are two options. Either you can run your own mini adventure prior to CoS, or you can drop the party into Barovia anyway and run the Death House; a mini adventure designed to level up the party to level 3, set the tone of the setting and introducing the bleak Village of Barovia. This mini adventure is found in Appendix B (page 211). I believe this is a must-play as it is really good and molds with Barovia pretty well. After level 3, leveling up is bound to certain circumstances and not to XP points. The book provides three alternatives; find the artifacts (the Sunsword, the Tome of Strahd and the Holy Symbol of Ravenkind), defeating important villains like the witches in the windmill or the werewolves. And finally when accomplishing story oriented goals like lighting the beacon of Argynvostholt, stopping the druid’s ritual or visiting the Amber Temple. The problem is that you have to choose, you might want to visit all these places and finish all quests, and if your party can do it that’s awesome. However there are more goals than there are levels since the campaign is supposed to get the party to level 10 only. And you have to remember that not every place has to be visited, that’s what’s good about sandbox campaigns. There’s more freedom. Some places might be ignored or just glanced at. Some might not even be relevant to the game as it develops. So here’s my take and suggestion on how to handle leveling in Curse of Strahd. They are not supposed to be in exact order, specially since the artifacts might be found at unpredictable times. So the campaign starts at level 3, plus three levels from the three artifacts equals 6. That only leaves us with 4 options for the remaining levels. In no particular order, I believe these are the important actions that can lead to leveling up. There are other quests, which you may exchange. Depending on your party and how it develops the story around them. For example the werewolves den makes way more sense if you used the adventure hook in page 21. If it comes to that, you might consider overthrowing Baron Vargas Vallakovich a story goal and award a level. A non-good party with no druid, ranger or barbarian might find little to no interest in saving the orchard from destruction while at the same time have the urge to find more about the Abbot. The campaign is very open in how you can handle leveling. Not even the “finding artifact” part of my list (4-6) is set in stone. As long as the goal feels rewarding the level can be awarded. My only advice is to keep the Argynvostholt mission because it’s really good and it means another visit into the castle; And avoiding any leveling after 10, unless you’re ready to heavily buff Strahd. It’s handy to look at the “Areas by Level” table in page 6. It explains how tough each area is according to party level. This information is not to be shared to players, even if they decide to go inside a place they shouldn’t. They have to be able to go anywhere, confront whatever they find and then decide to run to live another day. The adventure is harsher on the lower end of the levels. As the party grows in power, they will become step by step a force capable of taking on Strahd, and they can role play that. It’s awesome to see the party’s confidence grow like that. The first part of this chapter deals with Strahd’s history, goals and motivations and how to roleplay him. This is the most important part of the module. I will talk about this in depth in the Strahd chapters at the beginning of this guide’s index. You’re supposed to do this in private before the campaign but I advice the opposite. Don’t even do it. Don’t do it until the party visits either Madam Eva or requests a card reading from Ezmeralda d’Avenir. Nothing more unrewarding than the party finding the Sunsword in the Village of Barovia by mistake and getting a level for free. Do the reading when the time comes, not even you will know where the objects are placed. And after the reading, the party still has to find out or figure out the meaning of Madam Eva’s words. Or better yet ! Don’t leave the reading to chance. Decide before hand which are the locations that more ring true to you for a great story. You might deem convenient to place the Tome of Strahd in Van Richten’s Tower (page 167) since he’s been in Barovia for a longer time investigating the Count. Sergei’s Sword could be well hidden in the Amber Temple, placed there by Strahd himself for safekeeping. After deciding you only have to choose what’s going to happen when the players arrive to Madam Eva’s camp. You can either do the reading and re-shuffle everything. Or you could try a little sleight of hand and arrange the reading to “predict” what you had intended in the first place. If you do it right, the players will buy that this crucial locations were defined by chance. This one is easy to implement. It works in any tavern in any place or setting. Since Barovia is in different plane, it doesn’t matter where the adventurers are coming from. Here you see the assassin Arrigal delivering a forged letter to the party. He pretends to be obeying orders from Kolyan Indirovich, who is Ismark Kolyanovich’s father and Ireena’s adoptive father. This is set in Daggerford, near the Sword Coast. Although it could really be anywhere. A group of vistani visitors try convince the party to follow them and help their Lord. The leader, and old man named Stanimir (page 20) claims that the leader of their people, Madam Eva, can explain more. This hook is as good as your persuasive abilities when role playing Stanimir, however it says that the vistani lead the party all the way to the Tser Pool Encampment (page 36) bypassing all the stuff that comes before. That’s why I don’t think this is a good hook as written. However we can fix it, if the vistani abandon the party in the woods during the night, leaving them for the Creeping Fog then it is sound. It’s even better if they turn out to be the “bad vistani”, the ones allied to Strahd. So players might want to find Stanimir to confront him, only now he will be found in the Vistani Camp in Vallaki (page 122). The PCs are sent on a goose hunt to kill some werewolves who recently did their werewolvish things around Daggerford, or anywhere else really. No wait, not really. Since there’s info, goals and gifts for party members who belong to one of the five Adventurer’s League factions. Excellent for games in the Forgotten Realms or any game featuring members of these factions. It can be modded to other settings if the factions are replaced by their equivalents, or the factions could be ignored and you could just let the party chase after the werewolves unaided, it’s the dread domain anyway. If all else fails and the bait is not good enough, we have this jewel. After all, my grandfather used to say: “If you don’t go to Barovia, Barovia goes to you”.